On Friday Evolution visited the Visual Identity offices to film the VI team for the MKBAA nominee videos. 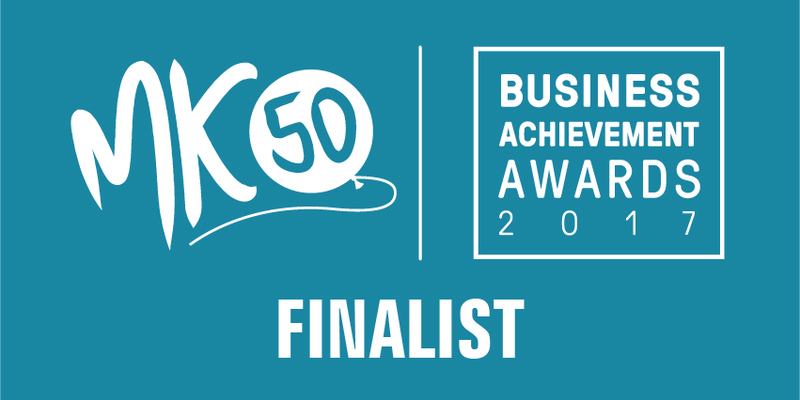 Visual Identity is delighted to report that we have made it through the two-stage process to be a finalist in the Design & Creativity category. The Milton Keynes Business Achievement Awards ceremony will take place on Thursday 9th March 2017. The MK business community will celebrate the successes of Milton Keynes’ business community at The DoubleTree by Hilton at the stadium:mk. The awards evening is a black tie event; the net proceeds going to a fund to foster fledgling businesses, administered by Milton Keynes Community Foundation. Jacqui Wilkins, Managing Director said, “We are absolutely delighted to be nominated. Good luck to all the finalists who have made it through to the final”. The video will be played on the evening.